I’ve just head the sad news that Darren Maude has died. He was best know as a member of the BradfordÂ band Architect, who had quite a bit of success in the early 1990s, touring with Big Country and Dr & The Medics. This entry was posted in Bradford Beat, Obituaries and tagged architect, darren maude, tim walker, voltage on June 10, 2013 by Simon. Whilst Jerry Leiber, who died on the 22nd August, may not be a figure that springs immediately to mind in the pantheon of preening, strutting decadents that have shaped popular music, his contribution , alongside Mike Stoller. altered the course of musical history in a way that it has never quite managed to escape from . Put simply, this rakishÂ son of Polish Jews, through his love of the R and B and jazz music of the 30′s and 40′s, took the street argot from the slums of Baltimore, where he spent his early years and aligned it with Mike Stoller’s rhythmic attacking piano structures to create an array of tough,hip, vernacular lyrics that are instantly recognisable nearly 60 years after their inception. In creating a lexicon of terms and phrases that still pop up regularly in all genres of music today he was no less than the Dr Johnson of rock and his images, particularly his gift for a scintillating opening line, are known pretty much everywhere by pretty much everyone. I wouldn’t. They might be Boris Johnson. Before Leiber and Stoller, most of the popular songs in the gleaming America of the early 1950′s were wounded tales of being done wrong by some uncaring femme fatale (the subtext being that blokes were basically at the mercy of those evil women creatures) rendered by ageing booze sodden crooners or enervating novelty fare of the “How Much is That Doggie in The Window?” stripe. This entry was posted in Obituaries, When Big Joan Sets Up on August 28, 2011 by Phil. Such terribly, terribly sad news today that Trisha Keenan of Broadcast has died after contracting swine flu and pneumonia. Â Laura was a big Broadcast fan too, so I know she will be upset by this as well. Â I didn’t actually see Broadcast live until the ATP Festival in 2010; in fact I have to admit I was somewhat late picking up on how talented they were, retrospectively getting their first 2 albums some years after they were first released. Â They were a special band to a lot of people, and I know Trisha will be dearly missed. I will say no more, and let songs, videos and photos do the speaking. 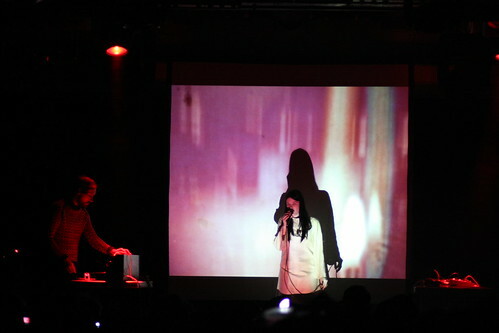 This entry was posted in Eclectic Mainline, Obituaries and tagged Broadcast, trish keenan on January 14, 2011 by Albert. 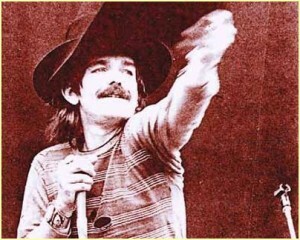 Steve Barker’s On The Wire has an excellent two hour tribute to Captain Beefheart at http://otwradio.blogspot.com/ – downloadable too. Mike Barnes wrote the biography, and – surprise -Â it’s called Captain Beefheart. This entry was posted in Blowin, Obituaries, Playlists and tagged blowin, captain beefheart, playlist, rob walsh on January 3, 2011 by Rob. 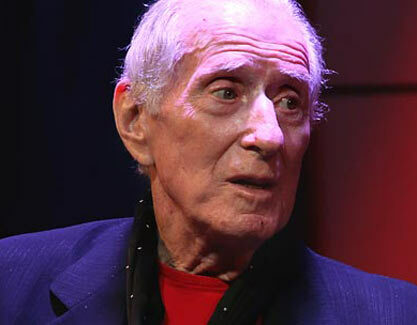 although anyone familar with his work will find even this sprawling list inadequate to describe the Captain’s work, mainly but not exclusively encapsulated on 12 studio LP’s recorded between 1966 and 1982 after which he did what so many of his 1960′s contemporaries failed to do and decided that he had said all he wanted to say and retired from music to become a respected artist. In this sense, this is the second time that we’ve lost him and I always felt that the blow of his eventual demise would be cushioned by the fact that as a “Beefheart fan-boy” (in the immortal words of Tez Burke) I had long since resigned myself to not hearing any new music from the great man. This entry was posted in Obituaries, When Big Joan Sets Up and tagged captain beefheart, don van vliet, obituary on December 20, 2010 by Phil. Yes, yes, I know it’s nearly Christmas and we’re all supposed to be feeling festive. But spare a thought for the sad news that Don van Vliet has died aged 69. As Captain Beefheart, he was one of the few musicians to truly merit the description “genuis”. This entry was posted in Bradford Beat, Obituaries and tagged captain beefheart, don van vliet on December 20, 2010 by Simon. We’ll be playing tracks to mark the deaths of two unique musical talents on this week’s Bradford Beat. Ari Up, of the ground-breaking post-punk band The Slits, died last week – and this week we also lost reggae legend Gregory Isaacs. This week’s Bradford Beat, broadcast on BCB 106.6FM from 8pm – 9pm on Thursday, 28 October, will also feature a couple of spooky tunes to get you in the Hallowe’en mood. And we’ll be revisiting the theme of lyrics which refer to Bradford next week – thanks for all the responses on this topic! This entry was posted in Bradford Beat, Obituaries and tagged Ari Up, Bradford Beat, Gregory Isaacs, Simon Ashberry on October 27, 2010 by Simon. I’m starting to think that the Leeds Festival site is centred around some sort of wormhole in the space / time continuum, as the best part of two months seems to have dropped away from my life and I have barely noticed them. As a result it appears that I have found myself quite spectacularly behind when it comes to show updates and playlists, so I’ll endeavour to bridge the gap and bring these READMYBLOG posts up to date. However, I don’t really think we should go any further before we mark the sad passing of Solomon Burke, who gone done went and karked it on a plane earlier this month whilst traveling to a series of gigs in Holland. This entry was posted in Multimedia, Obituaries, Playlists, Podcast, Selection Box and tagged playlist, Selection Box, Solomon Burke on October 26, 2010 by Patrick. 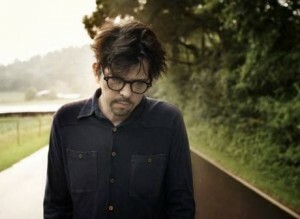 March 2010.Â The month I will forever remember as the one when both Mark Linkous and Alex Chilton died.Â I didn’t want to have to write about Mark Linkous dying a couple of weeks ago any more than I want to write about Alex Chilton dying now. However, on both occasions, it has been a pleasure to be able to just sit and write about what these people mean(t) to me. This entry was posted in Eclectic Mainline, Obituaries and tagged albert freeman, alex chilton, big star, Eclectic Mainline, last.fm, playlist, power pop, REM, spotify, teenage fanclub on March 26, 2010 by Albert.